Original images courtesy of Central Bank of the Bahamas. 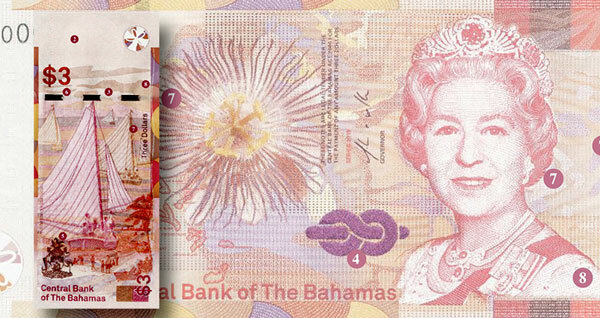 A bill with the infrequently-seen denomination of $3 was released by the Central Bank of the Bahamas on March 28. The new issue is the fifth in the bank’s CRISP Evolution series, which already includes the $½, $1, $10, and $20 notes. The $50 and $100 notes are not yet issued.